Lawn and garden soil teeming with microbes and organic matter grows healthy roots to snuff out weeds. The warm weather across North Texas caused plants to flower and push out new growth earlier than normal this year. Even the weeds. Typically, cool season weeds don’t start to become a problem until late February or early March, but due to the mild winter they have been hard at work since January. Depending on the types of weeds that are in your lawn, there are a methods you can employ to reduce them naturally. Did you know? Healthy soil that contains organic matter, is well aerated and drains well is not ideal for many tough weeds. You’ll often find weeds growing in soils that are heavily compacted or have specific nutrient deficiencies or excesses. By amending soils and treating lawns with biostimulants, you can naturally reduce weeds over time. The best way to reduce future populations of weeds in your garden, is to stop them from flowering in the first place. The easiest way to do this is by mowing on-time and regularly to prevent weed flowering. If you stop the flowering, you’ll stop the weeds from spreading their seed all over your lawn and garden. 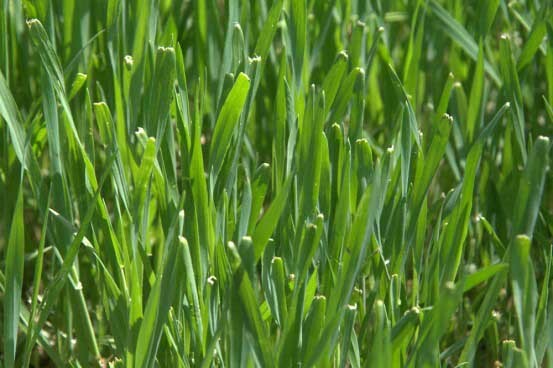 Over time, ongoing landscape maintenance and a healthy lawn will help to combat weeds. While pulling weeds by hand may be the last thing you want to do on the weekends, it can actually be good for your mind and body. Gardening activities such as pulling weeds are good exercise and can actually reduce daily stress. And in fact, pulling weeds manually is the best natural approach to eradicating weeds from your landscape. 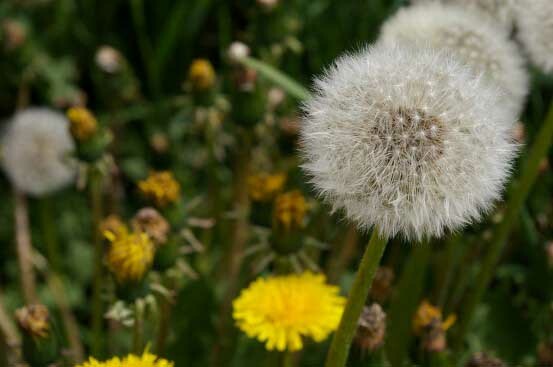 Some weeds, such as dandelions, have large tap roots that render them much more resistant to being killed by even the toughest of chemical herbicides. While mowing these types of tap-root weeds can keep them from reseeding, it often will cause them to develop an even larger root system. Your best bet is to dig them out and remove them. The right tools make weeding a breeze. Knee pads, gloves and weeding tools are key to protecting yourself and properly removing the entire plant. 20% vinegar is a natural treatment you can use to “top kill” weeds. While temperatures are cool, however, vinegar is not very effective. It works best when weather is hot and sunner. Vinegar is also not very effective on grassy weeds or weeds with taproots. As we get closer to summer, however, 20% vinegar is a great option for killing broadleaf weeds. Be prepared to re-treat weeds several times to kill them completely. Also, be careful only to spray the weed as vinegar can damage any plant it is sprayed on. A 20% Vinegar solution is good for reducing weeds from driveways and sidewalks. Always follow mixing instructions on the label when treating your weeds. A pre-emergent prevents seeds from either germinating or growing successfully growing. While most pre-emergents are chemical in nature, there is one natural product you can use to help reduce weed seed success: Horticultural corn gluten meal. Apply horticultural corn gluten meal over your lawn area or planting beds as a preemergent. As this material breaks down, it produces a gas at the soil surface that inhibits seed success. You must not disturb the lay or corn gluten meal in order for it to work properly. Another benefit of horticultural corn gluten meal is that it feeds your microbes and provides a small boost of nitrogen. Know that corn gluten meal does not kill weeds that are already growing. Along with applying pre emergents, it’s important to condition your turf and soil all year round. Weeds are indicators of poor soil texture, compaction, poor moisture management, and nutrient imbalances. With your dedication, help from Soils Alive, and a little patience, you will have a green lush lawn without much fewer weeds!